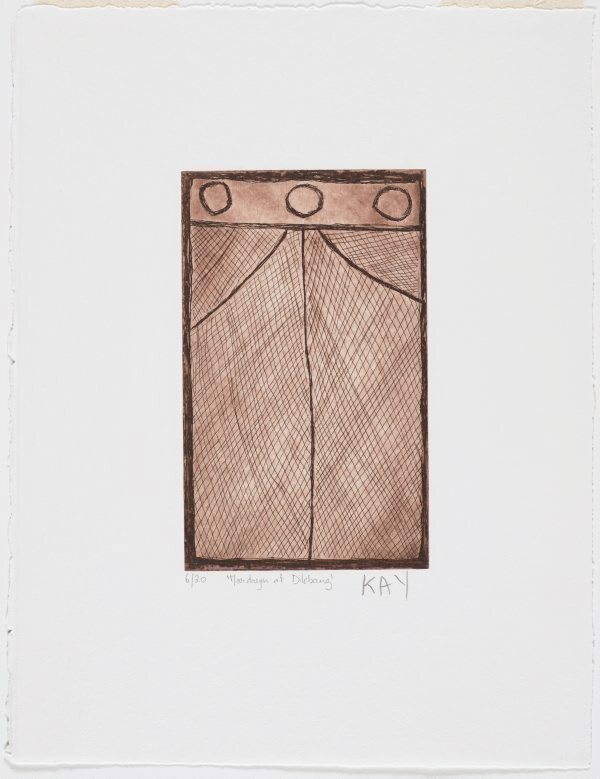 Kay Lindjuwanga has depicted a Mardayin design at Dilebang. Dilebang is an important site located along the cliff face of an enormous outlier formation in Kurulk clan estate. Dilebang has religious significance as a Death Adder and Rainbow Serpent site. The location consists of a narrow ravine in the outlier which runs down to a fresh water spring surrounded by a monsoon vine thicket fetaturing palm trees and Flagellaria indica vines. Kay Lindjuwanga is using Mardayin designs to represent the power of the place and its significance for Kuninjku people.